"Thus have I heard the conversation of two great souls, Krishna and Arjuna. And so wonderful is that message that my hair is standing on end." 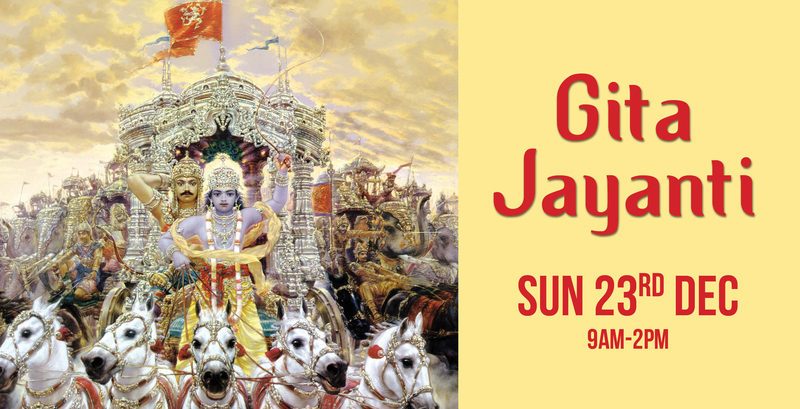 The Bhagavad Gita is a transcendental dialogue between Lord Sri Krishna and His devotee Arjuna. Spoken at the outset of a great battle, it is an encyclopedia for humanity. In contrast to the atheistic scientist's purely physical (and hence incomplete) description of everything, Bhagavad Gita makes a distinction between the spiritual self and the material body. The mind, intelligence and senses are discussed in terms of their strengths and limitations, and guidelines are given for their intended use. "I owed a magnificent day to the Bhagavad-Gita. It was the first of books; it was as if an empire spoke to us, nothing small or unworthy, but large, serene, consistent, the voice of an old intelligence which in another age and climate had pondered and this disposed of the same questions which exercise us."